Johannes Stark (15 April 1874 – 21 June 1957) was a German physicist, and Physics Nobel Prize laureate who was closely involved with the Deutsche Physik movement under the Nazi regime. Born in Schickenhof, Kingdom of Bavaria (now Freihung), Stark was educated at the Bayreuth Gymnasium (secondary school) and later in Regensburg. His collegiate education began at the University of Munich, where he studied physics, mathematics, chemistry, and crystallography. His tenure at that college began in 1894; he graduated in 1897, with his doctoral dissertation titled Untersuchung über einige physikalische, vorzüglich optische Eigenschaften des Rußes (Investigation of some physical, in particular optical properties of soot). 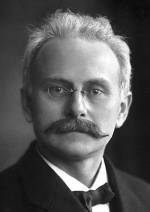 Stark worked in various positions at the Physics Institute of his alma mater until 1900, when he became an unsalaried lecturer at the University of Göttingen. An extraordinary professor at Hanover by 1906, in 1908 he became professor at the RWTH Aachen University. He worked and researched at physics departments of several universities, including the University of Greifswald, until 1922. In 1919, he won the Nobel Prize in Physics for his "discovery of the Doppler effect in canal rays and the splitting of spectral lines in electric fields" (the latter is known as the Stark effect). From 1933 until his retirement in 1939, Stark was elected President of the Physikalisch-Technische Bundesanstalt, while also President of the Deutsche Forschungsgemeinschaft. It was Stark who, as the editor of Jahrbuch der Radioaktivität und Elektronik, asked in 1907, then still rather unknown, Albert Einstein to write a review article on the principle of relativity. Stark seemed impressed by relativity and Einstein's earlier work when he quoted "the principle of relativity formulated by H.A.Lorentz and A.Einstein" and "Planck's relationship M0=E0/c2"in his 1907 paper in Physikalische Zeitschrift, where he used the equation e0=m0c2 to calculate an "elementary quantum of energy", i.e. the amount of energy related to the mass of an electron at rest. While working on his article, Einstein began a line of thought that would eventually lead to his generalized theory of relativity, which in turn became (after its confirmation) the start of Einstein's worldwide fame. This is heavily ironic, given Stark's later work as an anti-Einstein and anti-relativity propagandist in the Deutsche Physik movement. 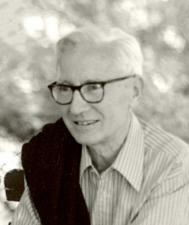 Stark published more than 300 papers, mainly regarding electricity and other such topics. He received various awards including the Nobel Prize, the Baumgartner Prize of the Vienna Academy of Sciences (1910), the Vahlbruch Prize of the Göttingen Academy of Sciences (1914), and the Matteucci Medal of the Rome Academy. Probably his best known contribution to the field of physics is the Stark effect, which he discovered in 1913. He married Luise Uepler, and they had five children. His hobbies were the cultivation of fruit trees and forestry. He worked in his private laboratory on his country estate in Upper Bavaria after the war. There he studied the deflection of light in an electric field. During the Nazi regime, Stark attempted to become the Führer of German physics through the Deutsche Physik ("German physics") movement (along with Philipp Lenard) against the "Jewish physics" of Albert Einstein and Werner Heisenberg (who was not Jewish). After Werner Heisenberg defended Albert Einstein's theory of relativity Stark wrote an angry article in the SS newspaper Das Schwarze Korps, calling Heisenberg a "White Jew". On August 21, 1934 Stark wrote to physicist and fellow Nobel laureate Max von Laue to toe the party line or else. The letter was signed off with a "Heil Hitler." In his 1934 book Nationalsozialismus und Wissenschaft (English: "National Socialism and Science") Stark maintained that the priority of the scientist was to serve the nation—thus, the important fields of research were those that could help German arms production and industry. He attacked theoretical physics as "Jewish" and stressed that scientific positions in Nazi Germany should only be held by pure-blooded Germans. In 1947, following the defeat of Germany in World War II, Stark was classified as a "Major Offender" and received a sentence of four years imprisonment by a denazification court.